With ZOEVA’s teeny tiny Luxe Petit Pencil Brush (240) you can give those talented smoky eye ladies of Instagram a run for their money. Designed to perfectly add the tiniest detail around the crease, its super soft bristles and slanted brush head allow for a professional-looking finish (so no dreaded ‘panda eyes’). When it comes to high-performance brushes with luxurious bristles, ZOEVA’s stellar range are hard to beat. Each one has been handcrafted and specially designed to perfectly fit the contours of your face, with its name helpfully emblazoned on the handle. Definitely worth making room in your make up bag for. This petite eyeshadow brush is super precise and perfect for distributing and blending small amounts of powder pigment for a seamless finish. The design features a chic black wooden handle, metal ferrule and a natural-synthetic bristle blend. ZOEVA’s collection of brushes are beloved by professionals and make up devotees alike, each one delivering a flawless finish so you can boss even the trickiest of make up techniques. 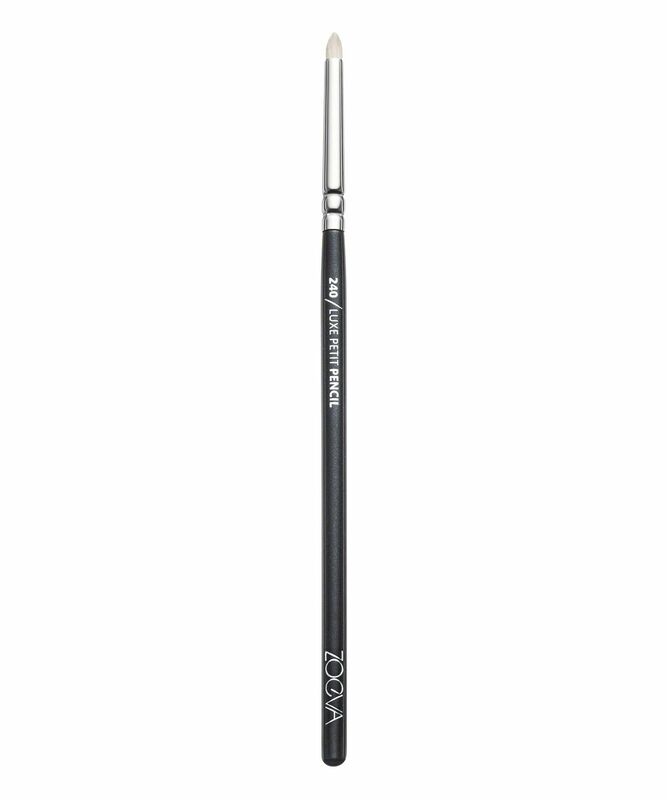 This extremely small, pencil shaped brush is a specialist when it comes to detailed work around the crease, blending edges evenly or creating perfectly shaded results along the lash line for a smoky eye effect. The tiny, pointed tip fits the contour of the eye admirably and can be used with creamy and liquid products. I love this brush - bought it as I needed a precise pencil one to use on my lower lash line and it fits the bill perfectly. And it didn't cost a fortune either.